Back in 2018 Imalent shook the flashlight community with the announcement of the Imalent MS12. 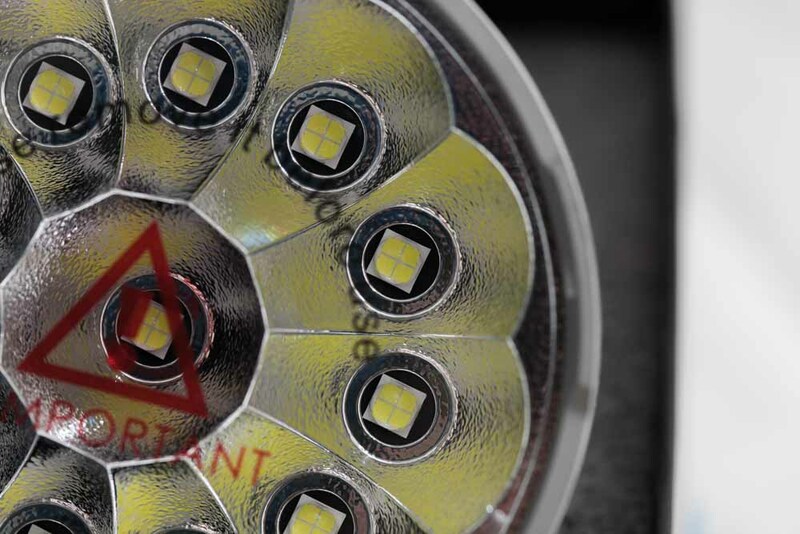 The previous brightest flashlight was the Acebeam X80gt with 32250 Lumens, and Imalent just almost doubled that number with 53,000 Lumens! Therefore it is mentioned in our brightest flashlights list! 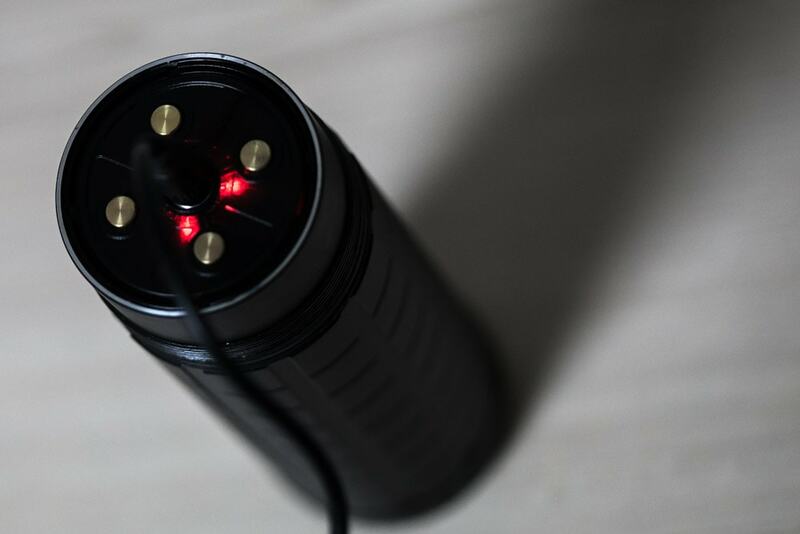 This is my second Imalent flashlight review in 5 years. My first being the SA04 with a LCD display. 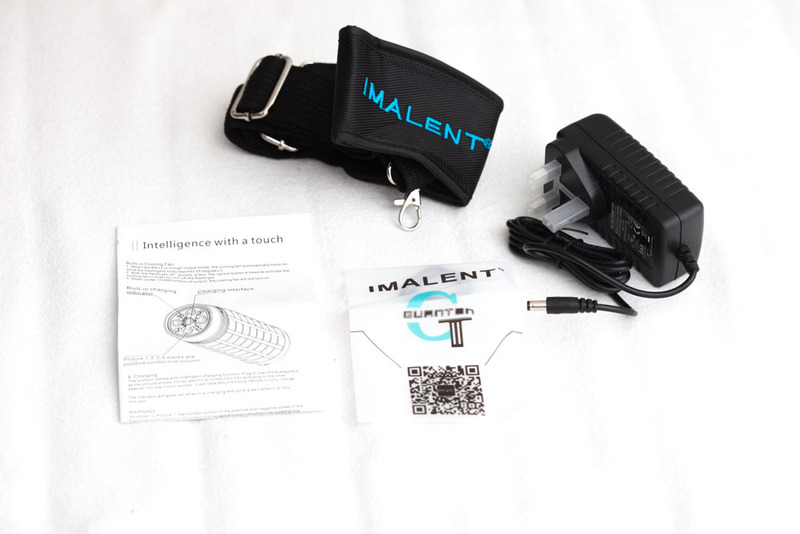 Back in the day when Imalent entered the flashlight market with LCD displays! 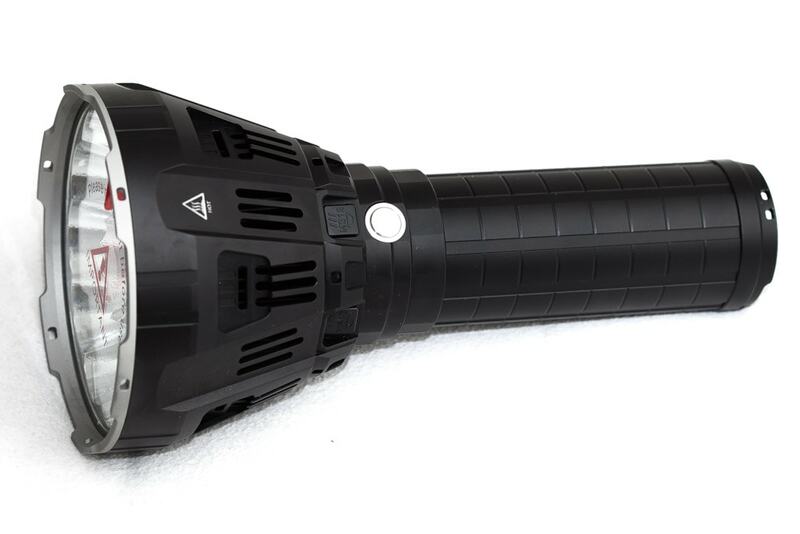 Fast forward 5 years and now we have a flashlight that is claimed to reach 53,000 lumens. It's not going to be your EDC, nor your average Bedside light. The MS12 is for illuminating your local baseball stadium! So they haven't included your favorite lanyard. Fortunately they included a shoulder strap! That's how I would start this section. The Imalent isn't just high on the lumen scale, it's also high on the weight scale. Most of the weight is in the head, and therefore it is tiring for your index finger balancing the flashlight with its front-heavy weight! The included carry strap is therefore no luxury but a necessity! It's fun playing with it, but within a couple of minutes you are feeling your wrist and index finger due to the unbalanced weight. Therefore I'd recommend using the shoulder strap if you are planning on using it longer than just a few minutes. Anothing thing I noticed during my testing outdoors was the following. When you usie the carry strap, you it's not very difficult to find the switch. Especially when it's cold outside. But when you don't use the strap, and you grab the flashlight, it is pretty difficult to find the switch! I hope they will improve that on future models! Yes it can, but it's better to put it with the head pointing downwards so you can use the side lights. 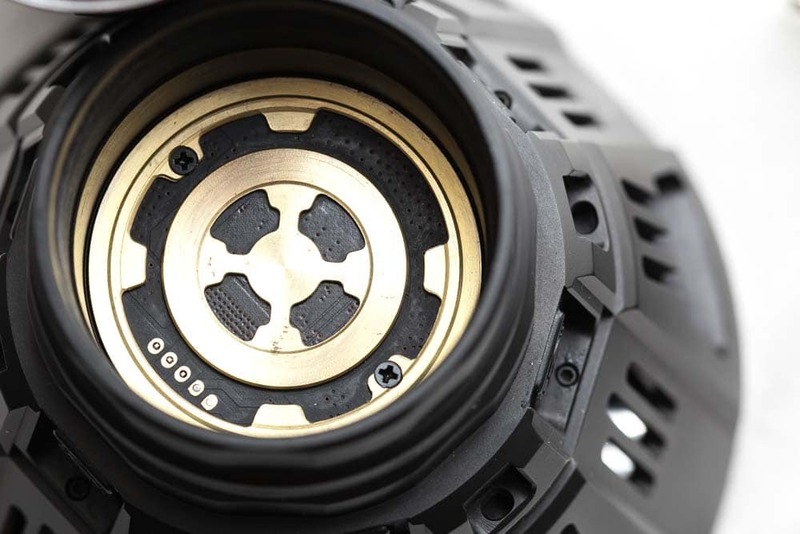 The build quality is good, as well as its anodization. The only problem I see is the should strap attachment. Even after only using the shoulder strap for 5 minutes the anodization damaged. If you want to keep your MS12 in a pristine condition on your shelves.... no problem.. if you start using it outdoors... just know you'll damage the anodization and even the aluminum itself, both on the front as well as on the rear. See the pictures below for some close ups. On the front side you attach it to the bezel, and on the rear, you attach it to the battery tube. I've looked all around the light but couldn't find anything wrong. Although it's not the most beautiful light.. but rather futuristic.. lol. TIP: If you care about the damage from the shoulder strap, you can use Heat Shrink Tubing. This way you can have an extra bit of protection to not damage your high lumen beast! You'll get an extra pair of O-rings in case you need to replace the current O-rings. 1 XHP 70 not enough? How about adding 12? 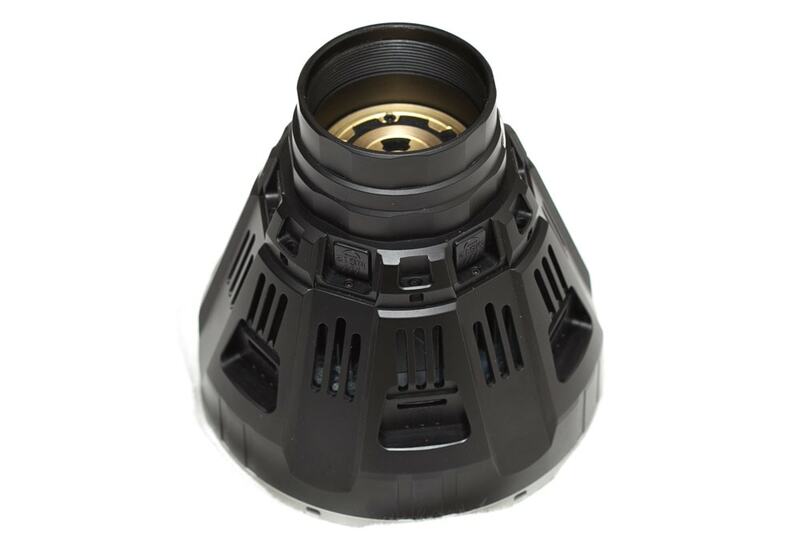 The Imalent MS12 uses 12 CREE XHP 70 LEDs to maximize output. The reason for chosing XHP70 over the newer XHP70.2 is unknown. That being said, I would argue that you wouldn't be able to notice the difference in output with your own eyes! Anything passed 10K or 25K becomes more difficult to notice. So a jump from 40000 to 50000 would be much harder to notice than a jump from let's say 400 to 500 lumens. 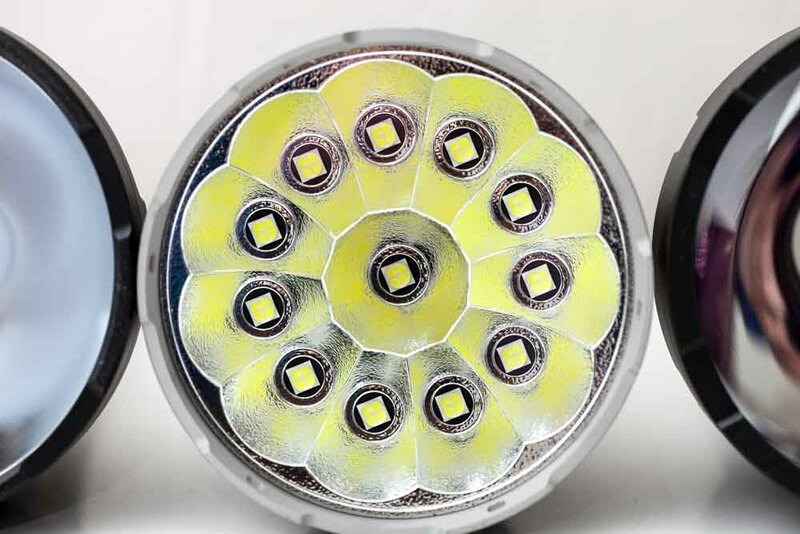 Besides the 12 XHP70 LEDs the MS12 also uses 6 white side lights that can be activated by a long press. 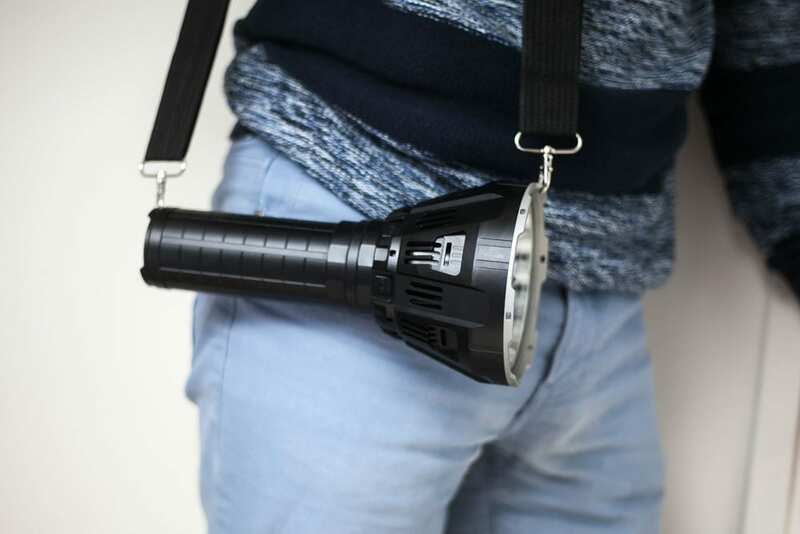 I can see this being very useful while camping or just carrying the light around. 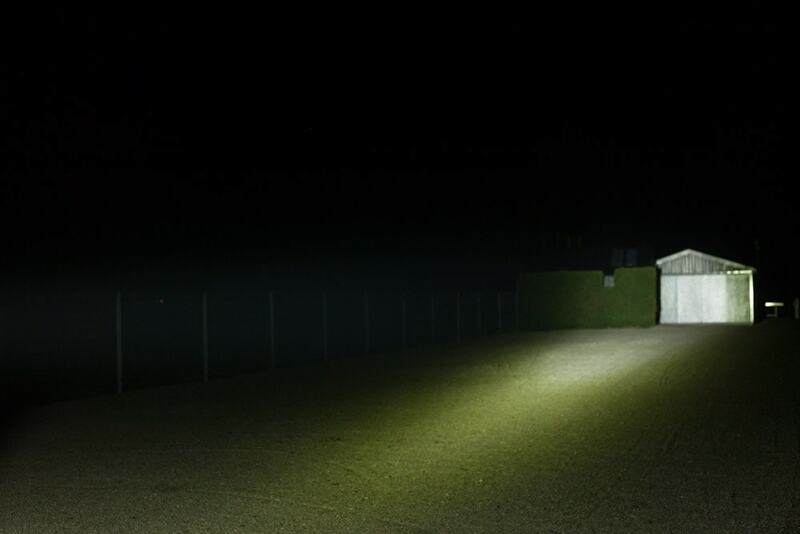 It's hard to measure lumens, but it's definitely at least 10 lumens from each of the 6 side lights. Please check out the UI section to read more. The bezel doesn't budge when you try to unscrew it by hand. It has holes to attach your favorite keychain (LOL) or the included carry-strap. It's probably aluminum. Definitely not Stainless stell. All reflectors are Orange Peel with 11 in a circle and 1 XHP70 in the middle. This layout doesn't really help to reach far, but it's a nice spread of lumens across the board. Check out the beamshots at the bottom of this page. 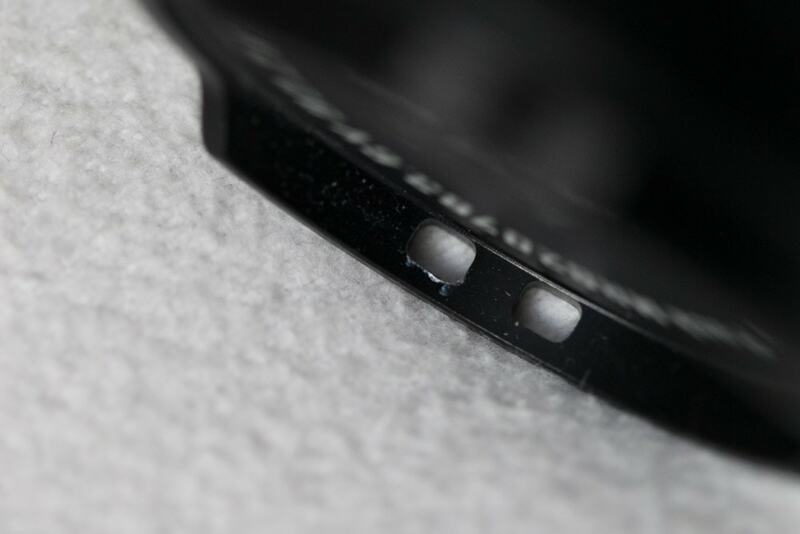 The Lens is clear abut has some kind of coating, maybe UV/AR coating? Length Imalent MS12: 258 mm / 10.15"
MS12 head diameter: 130 mm / 5.11"
Width body : 55 mm / 2.1"
Weight Imalent MS12: 1890 gr / 3.96 lb. Weight Head: 1094 grams / 2.41 lb. Weight Body incl battery: 706 grams / 1.55 lb. The Imalent MS12 uses a sophisticated User Interface, using only 1 electronic switch. 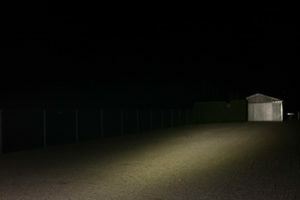 Modes: 8 with mfg lumens. When the light is activated the 6 side lights will turn green. These indicate the battery level. But when the main LEDs are off, you can use the side lights to turn white. Simply press and hold the side switch from Off to enter the side lights. Single clicks will run the modes from High - Medium - Low output. 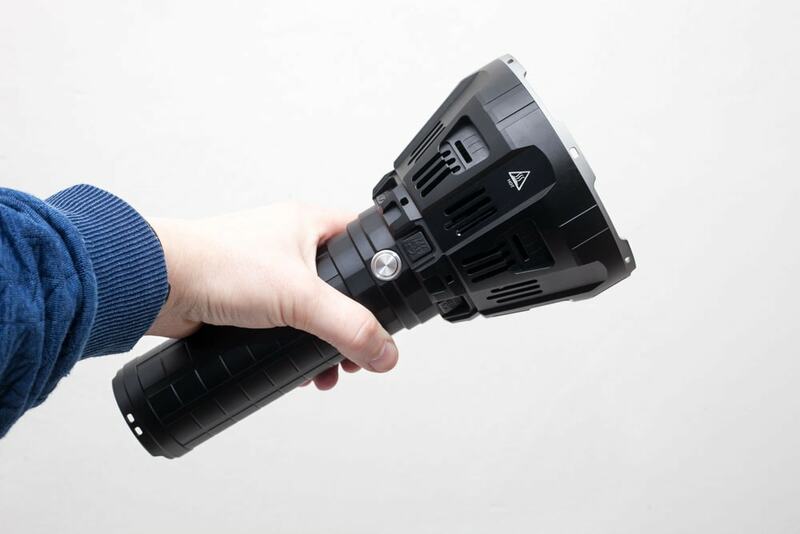 Great for using as a locator as well as some 360 degrees light while camping / in your tent. 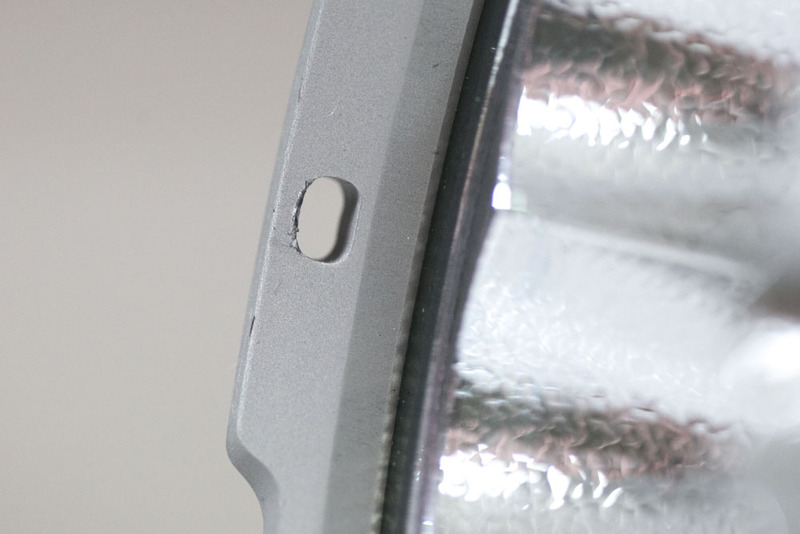 The 6 side lights will turn red when the overall voltage drops to 11.8 Volts. At 11 Volts the red side lights will start flashing. It's not in the main mode group, but you can enter Strobe mode by a double click from Turbo! There are no other blinky modes like beacon or SOS. You can enter this mode by clicking 3 times when the light is off. The red side lights will blink twice to indicate the lock out mode is activated. When you do another 3 clicks the green side lights will blink twice to indicate the lock out mode is deactivated. I couldn't detect any, except for the strobe mode.. Lol. Download the Imalent MS 12 Manual here. 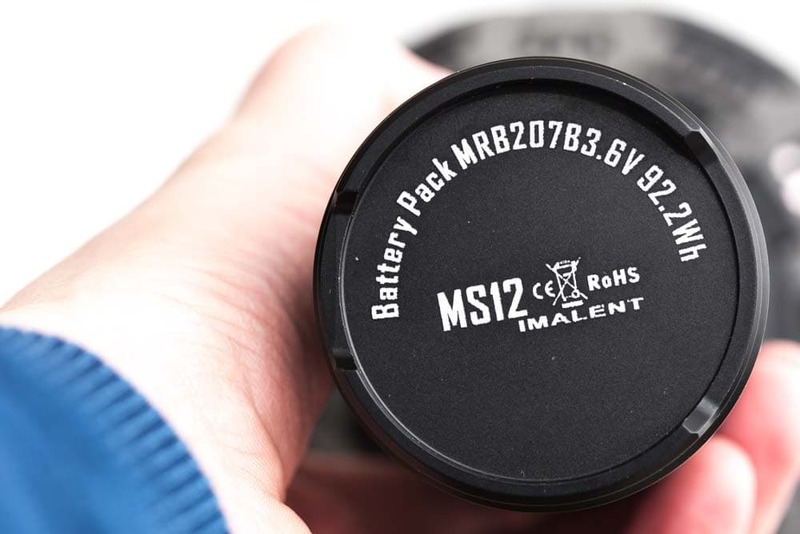 The Imalent MS12 comes with a battery pack which can be replaced but you can't charge the cells individually, fortunately, because when having 8 pieces of batteries, you need to be careful to keep them together and use them only as a set. 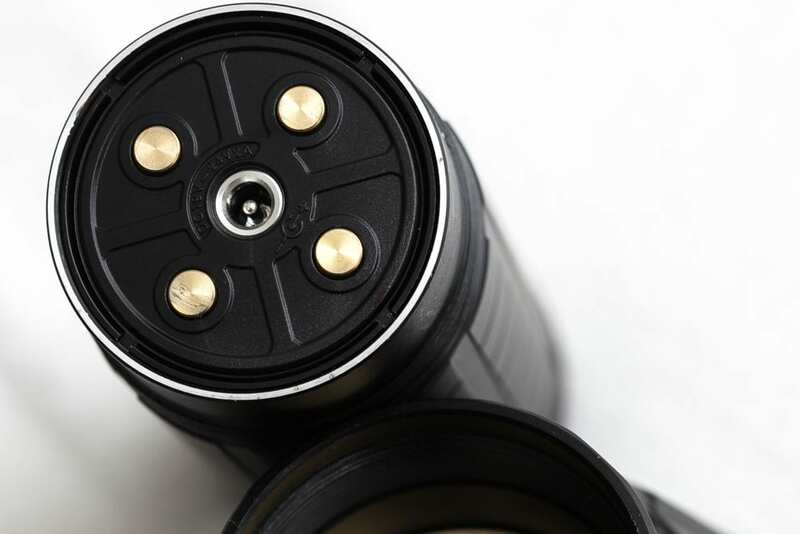 The battery pack includes 8*20700 batteries for high capacity and High Drain. It comes with a dedicated charge adapter, and mine came with a UK plug since I bought mine on Amazon.co.uk. So if you are in Europe make sure you order it with the correct adapter, and if you are in the US, this doesn't apply to you, except if you order it from overseas! Make sure you order one with the correct plug. It isn't very critical since you can just buy a cheap adapter if you order the wrong one.. Charging took me about 5 hours, while the documentation mentions a charge-time of 4 hours and 38 minutes, so the charge time may vary. Another thing I noticed is that you can hear a high pitch sound while the batterypack is charging. TIP: Charge the battery pack when you see the side ligths turning red instead of waiting till they are flashing.. to increase the battery cycle life. My integraged Sphere only measures up till about 4000 Lumens, and anything above this is difficult to measure consistantly. I tried using a Neutral Density filter that I use for my Canon DSLR Camera, but the numbers didn't add up. Tests done with the Hagner E4-X luxmeter. I usually don't intend to do runtime tests with the powerful flashilght since they can actually damage (burn) the box I use for these tests. (It is just a cardboard box with some holes so I can see the light is still on). 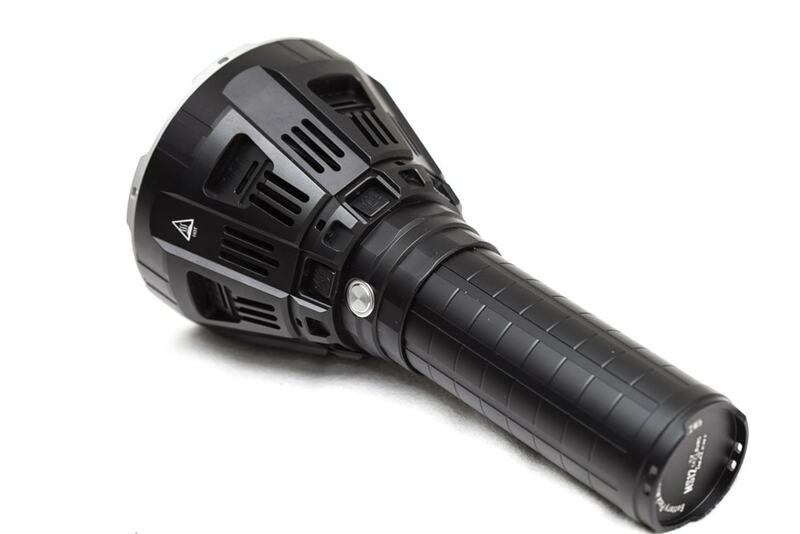 But its too small to use with anything above 5000 lumens or so.. because of the possibility to start a fire. After 2.5 minutes the fan turns on and the light starts to drop output. Within a few minutes it's too hot to touch! Be careful with this barn burner .LOL The following runtime is in Turbo mode. Runtime is 70 minutes. Although it can run for about 80+ minutes, the batteries will be very low, or even too low. So make sure you'll turn it off when the red inidicator LEDs start blinking. Since this light is such a beast I have to be careful measuring the throw in our garden. The measurement is taken at a 10 meter distance. I've done beamshots with multiple lights, and these are the ones with multi cell multi emitters. 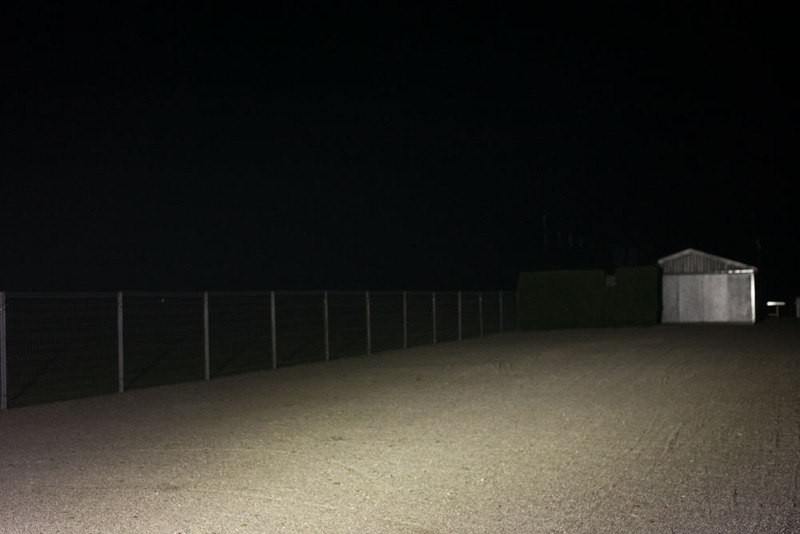 The place I did these beamshots was good enough for throwers, but for flooders like these, it was a little difficult to really show the difference. 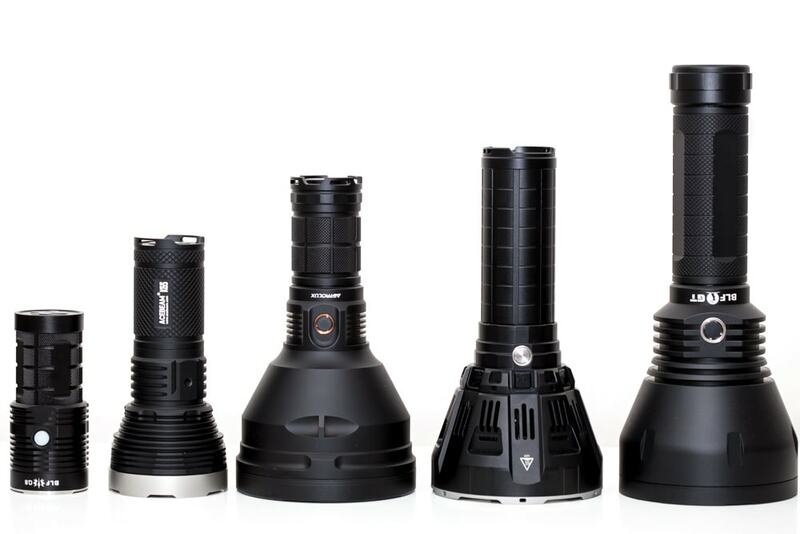 The BLF Q8 should be around 5000 lumen, the Acebeam K65 6300 lumens, the Haikelite should be 21000 lumens according to specs. 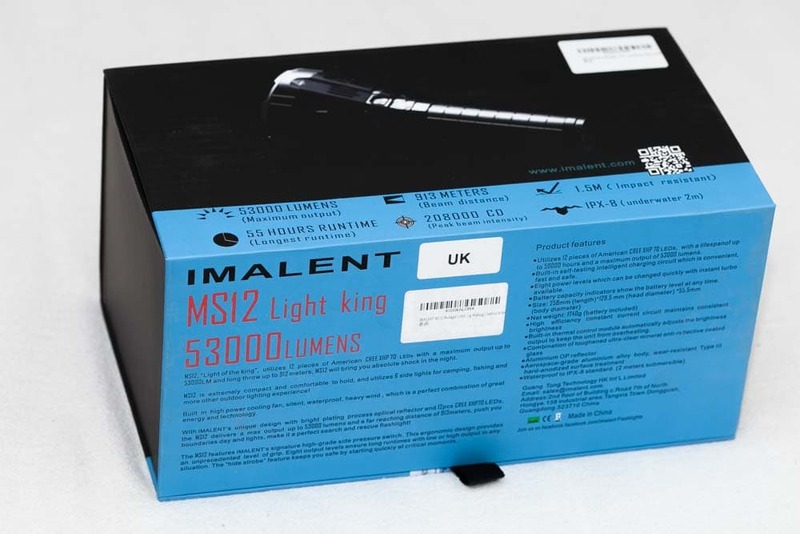 And the Imalent is supposed to do 53,000 Lumens. Take a look yourself. Unfortunately I didn't focus the camera very well, since I had to do it manually to keep the focus the same. The Imalent MS12 is a beast. Although probably not reaching 53,000 lumens it's still one of the brightest flashlights in the world! The UI is rather simple, the pricetag is high, but you'll get many photons back.